The fallen star offers a wish, but who will make it? There's more to Jack's return than meets the eye in the bonus game! Did you catch all of the snowflakes? If not, try again! Replay every HOP and mini-game to your heart's content. 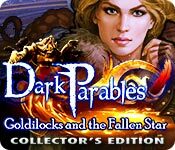 Dark Parables: Goldilocks and the Fallen Star Collector's Edition is rated 3.5 out of 5 by 79. Rated 5 out of 5 by JulzCat from Goldilocks Has The Midas Touch! I'm very baffled by the bad reviews. I've played all the DP games and I thought this one was wonderful! Goldilocks has the ability to turn anything she touches to gold and her robot sister used her to turn the entire town! Now you have to save the town and put the rightful queen on the throne. The game was pretty long and the puzzles challenging. In the CE there's a bonus story involving Jack and his "golden" girlfriend. There were also trophies to be earned and snowflakes as well as parables to be collected. If you miss any, you can go back and collect them at the end. Give it a try...you'll like it! Rated 5 out of 5 by ttaravision from Great addition to the series I really enjoyed this one. 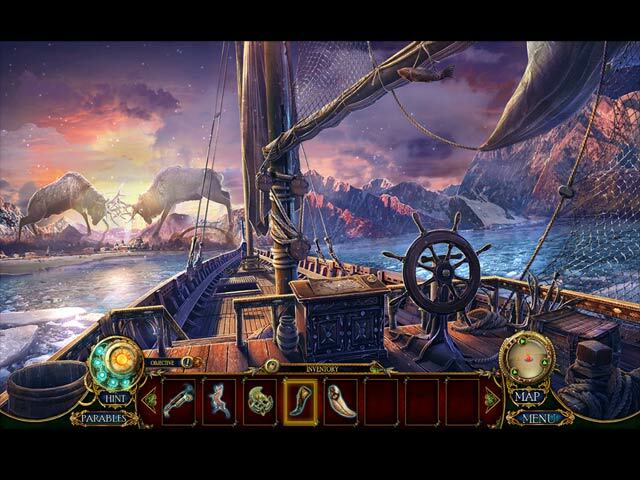 I do enjoy all of the Dark Parables games. This one was a lot of fun as well. I seem to like the middle ones in the series more than the last one and beginning one. This one keeps me going throughout the entire thing. Rated 5 out of 5 by tutortime from Excellent Game ! Great game series. Never disappoints. The CC edition was worth the money even though the last chapter was a bit short. 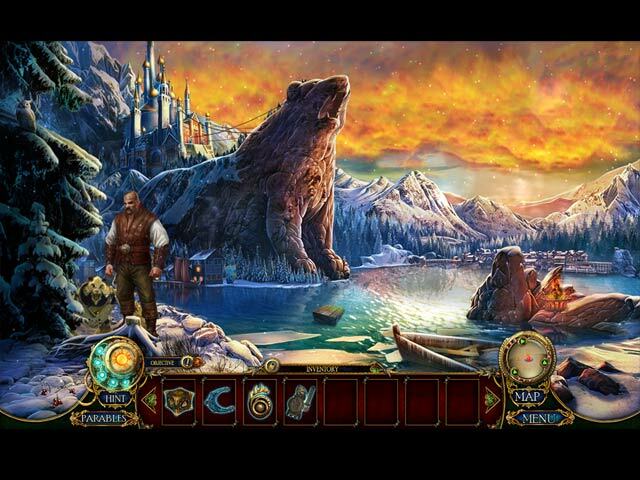 Rated 5 out of 5 by christinespeer from Goldilocks meets King Midas I found this game to be highly entertaining~ the storyline was fluid and engaging, although it could have been slightly more involved. The games were fairly challenging, the visuals were beautiful. I liked that it was a new take on a classic story. I enjoyed the game and would definitely recommend it to anyone who is a fan of the Dark Parable series. Sometimes it's good to mix things up a little. Don't expect it to follow the exact formula of the other DP games in the series, it spins off nicely on its own. Rated 5 out of 5 by laurakay76 from A new golden title in the series I love the Dark Parables. I was an "early adopter" of the series - I've been with them ever since there were only two games, and I've played them all. I know some have claimed the quality has gone downhill over time, but I don't see it; there has never been a DP game that I didn't enjoy. Goldilocks certainly didn't disappoint. 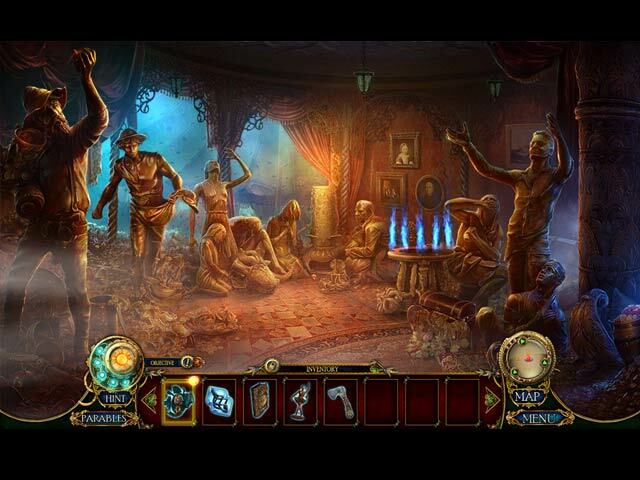 Eipix has continued the Blue Tea Games tradition of beautiful graphics and challenging puzzles. The new characters encountered are interesting and the story is compelling. As usual, once I started the game, I had to play it all the way to the end. There were one or two small details that did have me scratching my head just a bit, but nothing I couldn't overlook and certainly nothing that harms the series in any material way. The bonus chapter contained some really intriguing new details about the Fairy Tale Detective's continued role in all of this. If I had to offer a complaint at all, it's that Jack - whom I really loved in Jack and the Sky Kingdom - returns and isn't nearly as fun this time around. But the bonus chapter explains why he's become like that, so once I played the bonus I didn't mind it quite so much. On the whole, very happy with this new addition to my all-time favorite PC game series! Rated 5 out of 5 by smkillion from Dark Parables strikes again! I'm not one for HO games...unless it's a Dark Parables game! I fell in love with the Curse of Briar Rose, and wait with bated breath after each one for the next. They are one of the only set of games I must buy the collector's edition of. Goldilocks does not disappoint. Great graphics, challenging but fun puzzles, and a familiar storyline twisted in an unusual way (probably my favorite part of these games). I love seeing the nods to the old games in each new one. Sometimes you really have to watch for it, but they always have at least one. Can't wait for the next! Rated 5 out of 5 by Sward81333 from Dark Parables doesn't let down I've have all of the Dark Parable series. This one is up to standards with previous games. I like Blue Tea's concept of chapters as each offers a good point to save and return later to continue playing. The story and puzzles are good. On a scale of 1-10 of the Dark Parable series, I'd give this a 9.